As baby boomers move into their golden years, post-retirement living options are proliferating. Last fall, for example, a sumptuous luxury-apartment complex designed specifically for seniors opened near downtown Wayzata, just a stone’s throw from Lake Minnetonka and a few steps from the town’s quaint shopping, dining, and entertainment district. But not all boomers want to live in a multifamily setting—which is why Matt Cooke of OSLO Builders thinks the home his firm built in Wayzata, just a few blocks from the senior-housing complex, is a perfect fit for a retired couple. Roughly 4,000 square feet, it features four bedrooms, an office, a large open kitchen/dining/living space, a rec room, and a tuck-under garage with heated flooring. An elevator allows for easy access to all three floors and makes it easy to move groceries or furniture from level to level. “It’s really a perfect place for people who might want to age in place,” Cooke says. The location is certainly ideal. Though not a lakefront lot, the property is near the shoreline, and the upstairs boasts a lovely lake view. 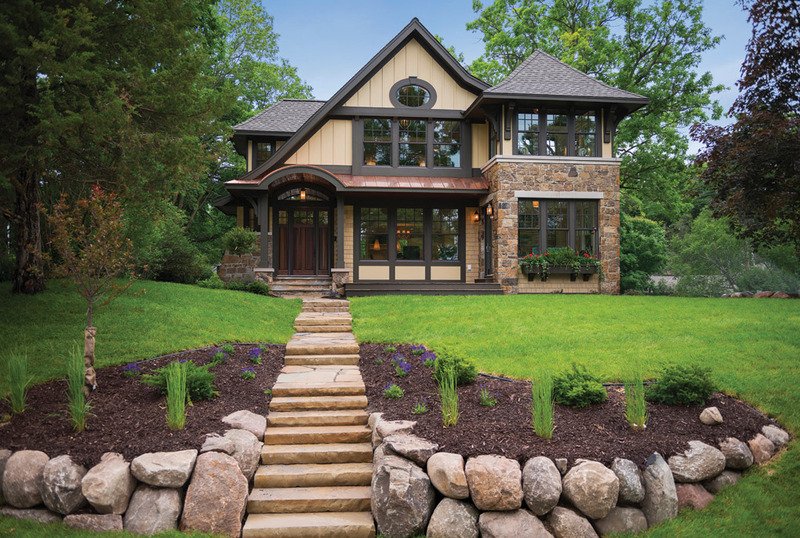 Its exterior is charming—a mix of stone, board-and-batten, and hand-dipped cedar shakes—and the house is oriented to take full advantage of natural light. Even in winter, large windows allow sunlight to flood the central living space on the main floor as well as the master bedroom above. A tower with a sun/sitting room on both levels provides a place to escape and read, relax, or nap. Wood is a feature throughout. 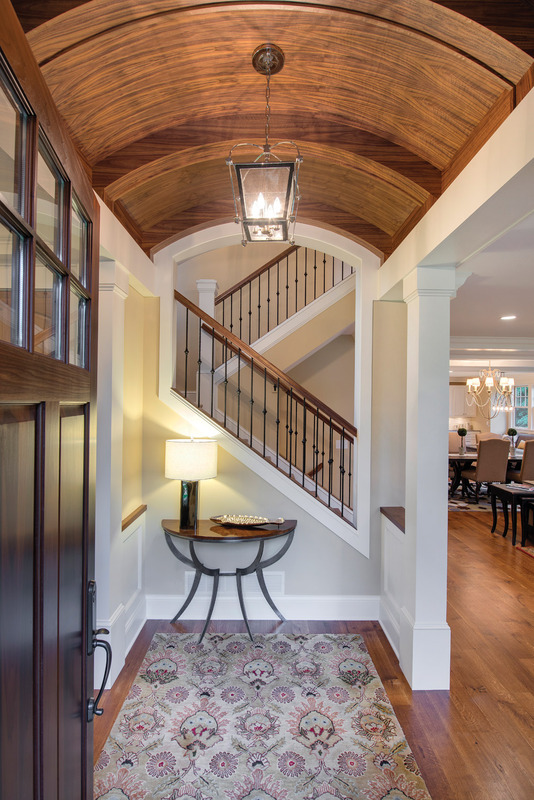 Walnut adorns the foyer’s barrel arch, the master bedroom vault, and the porch ceiling; quarter-sawn oak floors span the main and second levels; and white-painted paneling and ceiling beams give the interior a clean, elegant feel. Top-of-the-line appliances, hidden storage spaces, a handcrafted stone hood over the range, and an 8-by-8-foot granite island range make the kitchen an irresistible place to gather. “It’s really a condo alternative,” Cooke says, “without the association fees.” And with considerably more space, light, and solitude. 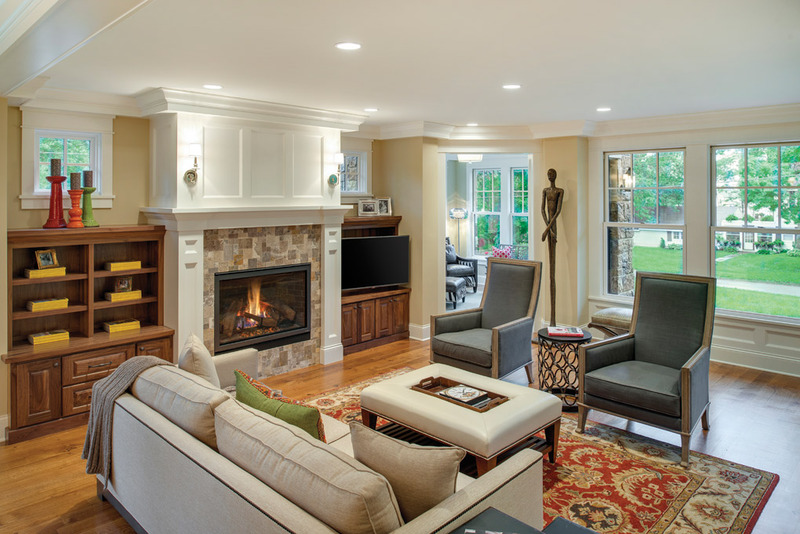 Previous articleNorth Oaks’ Natural Oasis by TJB Homes, Inc.